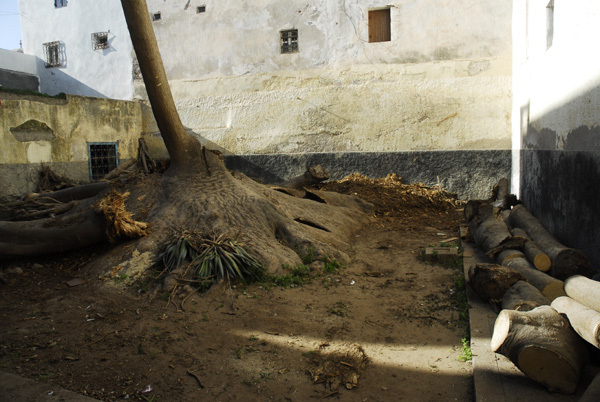 at Bab Marrakech, ( the citadelle Mohamadiya), there is an old big tree Phytolacca Dioïca. 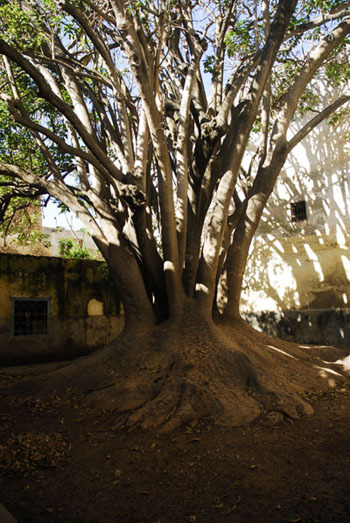 Often heard beeing called the Old Ficus tree or the old Fig tree. 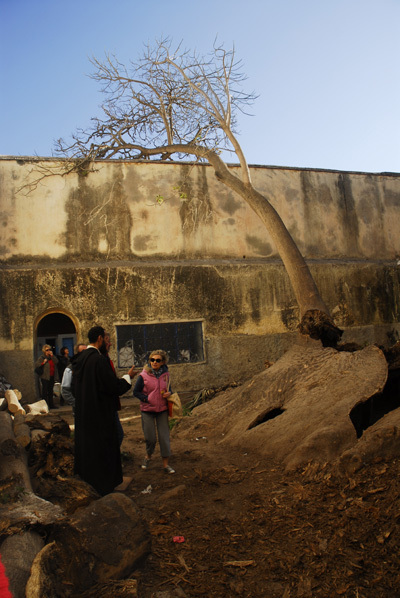 It is said that the tree was brought to Mogadouru (Essaouira) by the Portuguese. In that case it should be about 500 years old, but it is probably not more than 250 years old. Phytolacca dioica, commonly known as ombú, is a massive evergreen herb native to the Pampa of South America. 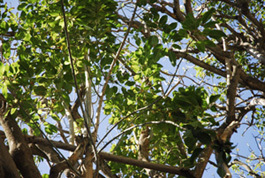 The bush has an umbrella-like canopy that spreads to a girth of 12 to 15 meters (40 to 50 feet) and can attain a height of 12 to 18 meters (40 to 60 feet). The ombú grows fast but being herbaceous its wood is soft and spongy enough to be cut with a knife. the entry to the site of the tree is closed. Most branches has been cut off leaving only one living stem. It is said that in June 2011 it happened - there was a big noice and two main stems broke apart. It is easy to see that the wood had been soft and humid. 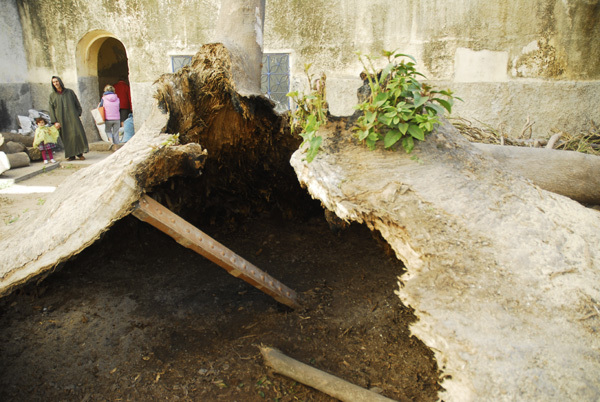 The 250 years old tree is now waiting for a specialist of trees who will take care of what rests of the tree. It is not dead. in the heart of the South Bastion. 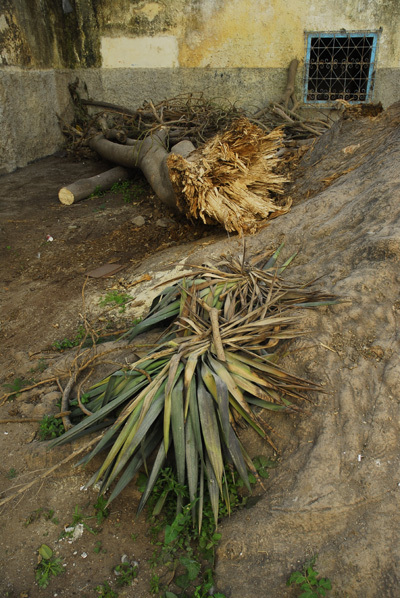 The place in January 2015 Recovery or new plantation? 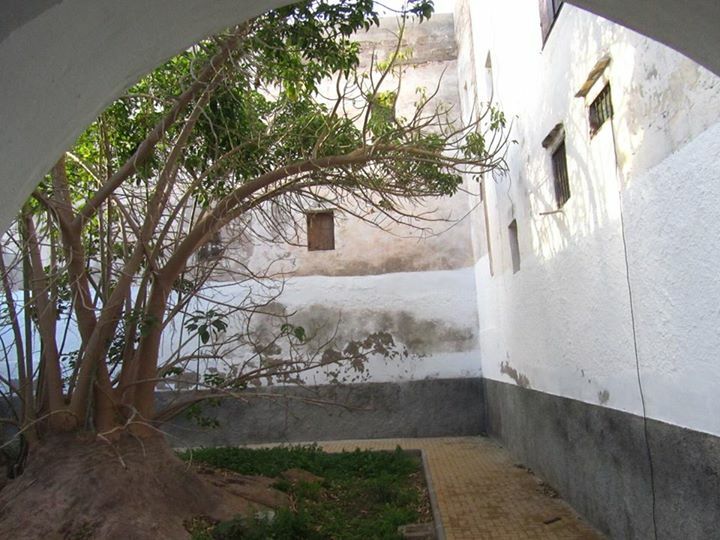 Build in mid 18th century, during the reign of the Sultan Sidi Mohammed Ben Abdallah when the medina was walled and fortificated. 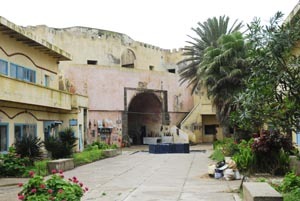 It is a small fort with place for soldiers and material. 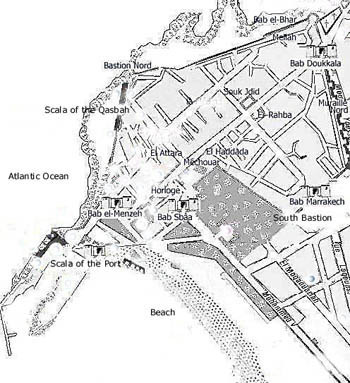 The round bastion survielled the place of Bab Marrakech and the aera outside the walls to the beach and Bab Sbaa. Today at this place you find the Cooperatives Artisanal. 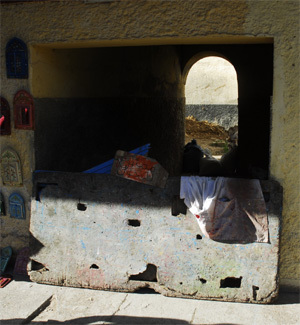 and Borj el Assa, a defensive fort on the Island of Mogador. 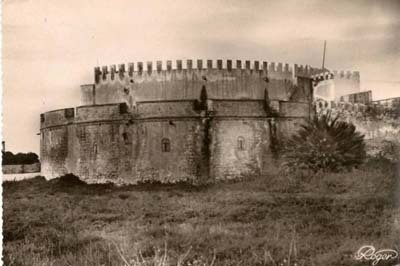 was an isolated fortress which served as a store for gunpowder probably situated somewhere between Bab Marrakech and Sidi Mogdoul. There are no traces left of it today caused by the new settlements and the construction of Boulevard Mohammed V.
Boulevard Mohammed V and the Dune quarters. 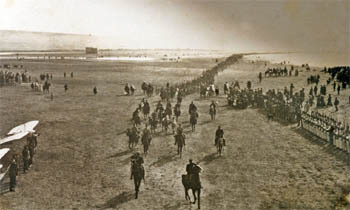 A French general entering the town of Mogador. and the plan of the new town south at the dunes. 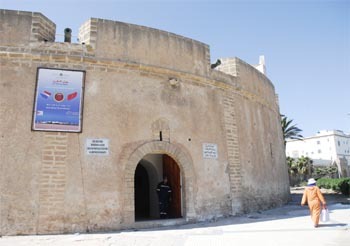 Borj Marrakech ( Bastion Sud) has an exibition hall.